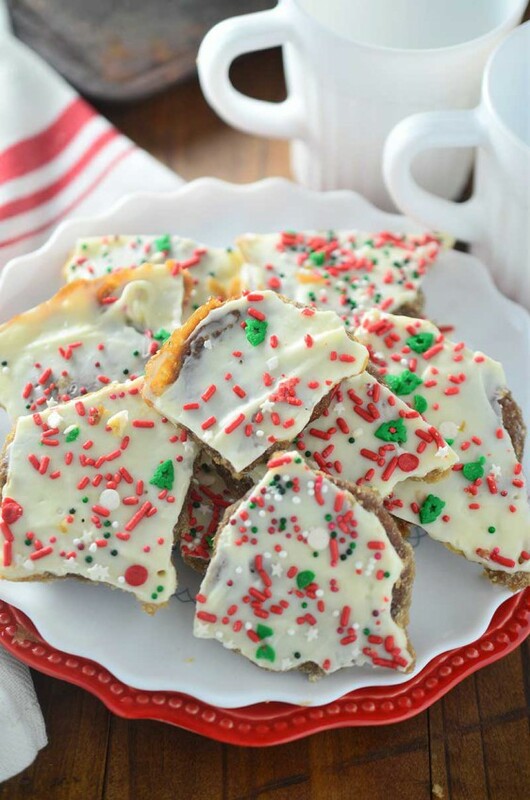 Sam here from Sugar Spun Run with another homemade recipe that I’m hoping you’ll love. Today, I brought you candy… but not just any candy. 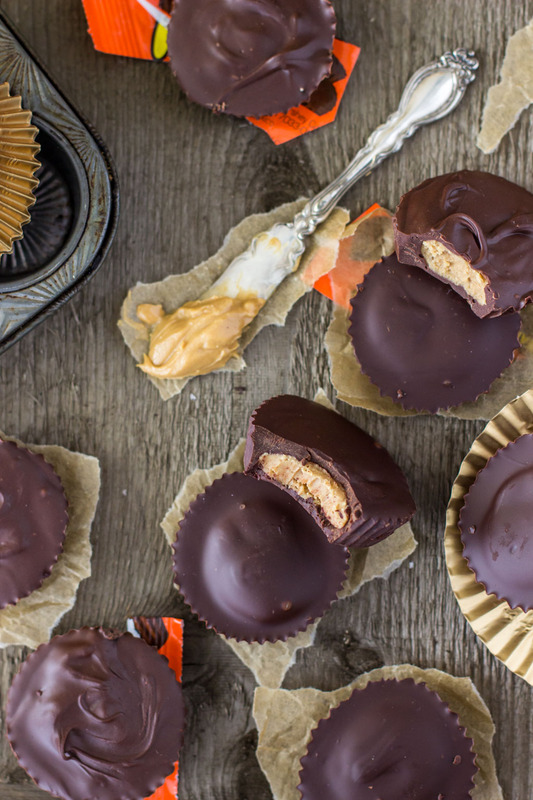 I brought copycat Reese’s Cups — adorable little peanut butter cups that you can make at home in your own kitchen. Chocolate and peanut butter are a match made in Heaven, and possibly my favorite flavor combination (though salted caramel and chocolate are pretty high up there, too) . I’m pretty sure it’s a flavor combination that I’ve done and re-done in a hundred different ways over the course of baking for my own dessert blog. But… somehow I’ve made it this far in life without ever having made my own Reese’s Cups! For someone like me who likes to make everything at home and from scratch, this simply wasn’t acceptable. To fix this, I quickly made my way to the kitchen, armed with plenty of chocolate and an industrial-sized jar of peanut butter, determined to develop the perfect copycat Reese’s cup. And, one giant jar of creamy peanut butter later, I think it’s safe to say that we have a winner — the perfect homemade Reese’s Cup. And now, I’m sharing this fun and easy classic recipe with you. 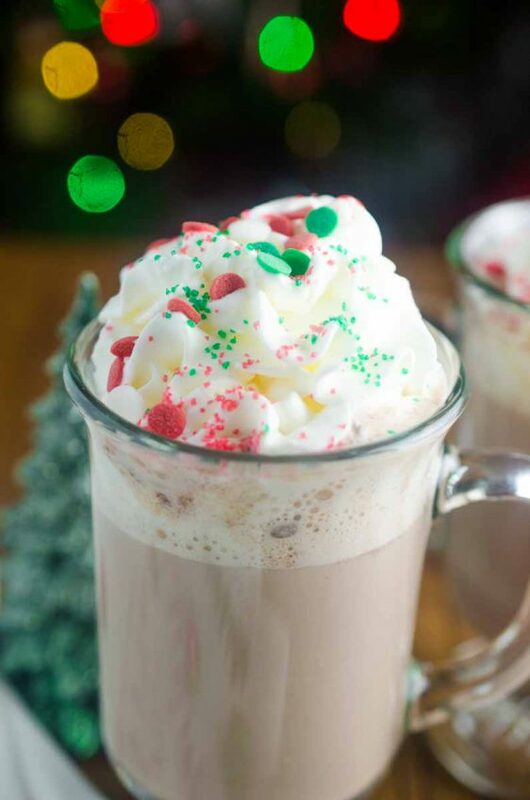 I think you’ll be surprised by how truly easy these cups are to make. 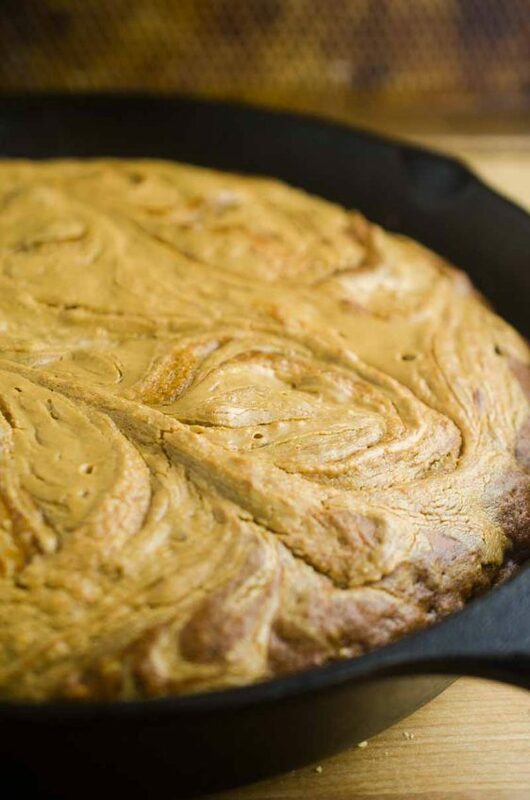 The peanut butter filling is 5 simple ingredients that you probably already have on hand: peanut butter (of course), butter, brown sugar (it’s just a small amount, but it adds an extra depth of flavor that is critical to the filling), vanilla extract, and powdered sugar. Stirred together and then cloaked in chocolate inside a cupcake liner (which is what gives these candies their signature ridged edges) they can easily be prepared in under 30 minutes (though you’ll have to wait a bit longer than that for the chocolate to set). Make them for yourself, but I warn you, you’ll never be able to enjoy another store-bought peanut butter cup again! Combine your peanut butter and butter in a medium-sized microwave-safe bowl and microwave in 10 second increments (stirring between each) until the butter is completely mixed into the peanut butter. Stir in brown sugar and vanilla extract. Gradually add the powdered sugar, about 1/4 cup at a time, stirring until completely combined. Set aside. 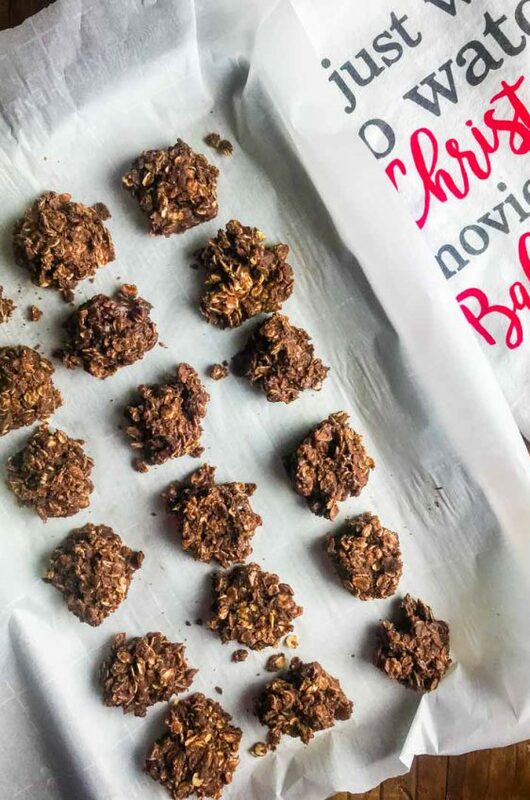 Roll about 1 Tbsp of your peanut butter mixture into a ball, slightly flatten to about 1/2" thickness, and set aside on a wax paper lined cookie sheet (if the peanut butter mixture is too sticky to handle, add more powdered sugar, stirring in 1 Tbsp at a time, until it is manageable). 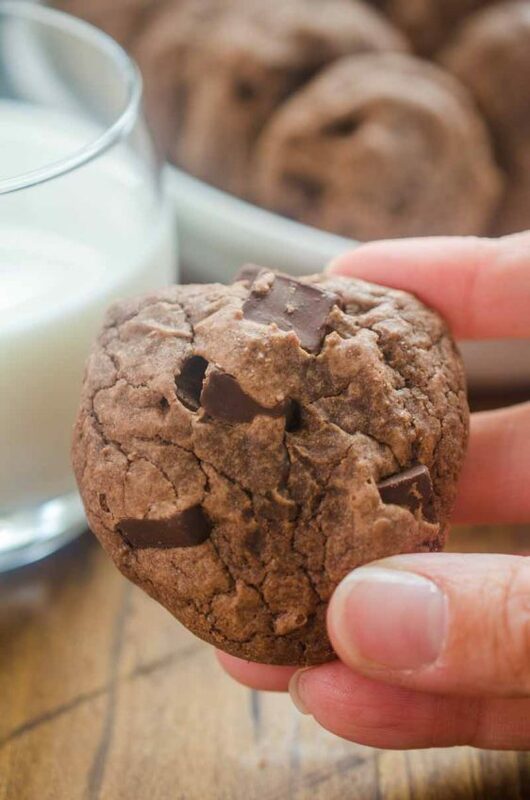 Prepare your chocolate by placing the chocolate chips in a large, microwave-safe bowl and microwaving in 25-second increments (stirring well between each) until chocolate is completely melted. 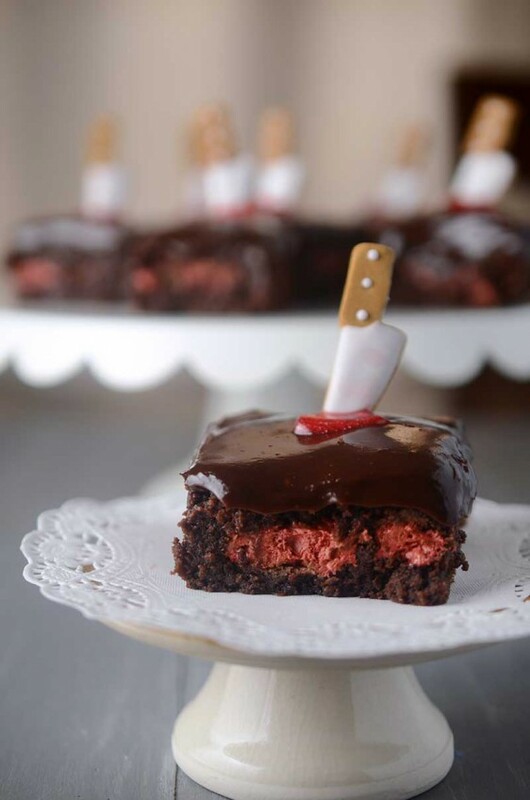 Spoon a small amount (about 1 Tbsp) of chocolate into a cupcake liner until the entire bottom of the liner is covered. Place a prepared peanut butter ball on top of the chocolate, and then spoon additional chocolate on top until all of the peanut butter is completely covered in chocolate. Repeat until all cupcake liners have been filled. Allow cupcake liners to sit undisturbed until the chocolate has hardened (this may take over an hour, depending on the temperature), or you may speed up the process and place the cups in the fridge for at least 30 minutes. *Note: For a traditional Reese's taste, use milk chocolate chips. However, I found the milk chocolate to be a bit sweet, so I prefer to use semisweet or dark chocolate chips. You may also use 3 cups of melting wafers instead, which are less messy and less likely to melt in your hands, but I personally prefer the taste of chocolate chips. **Note: Though paper cupcake liners will work, I prefer foil cupcake liners. They are easier to remove and do a better job of protecting the ridges in the cups, which makes these candies look like real Reese's cups. Enjoy! My kids love these candies! I bet they would really enjoy these homemade ones! Perfection! One of my favorite chocolate candies. You’re killing me! 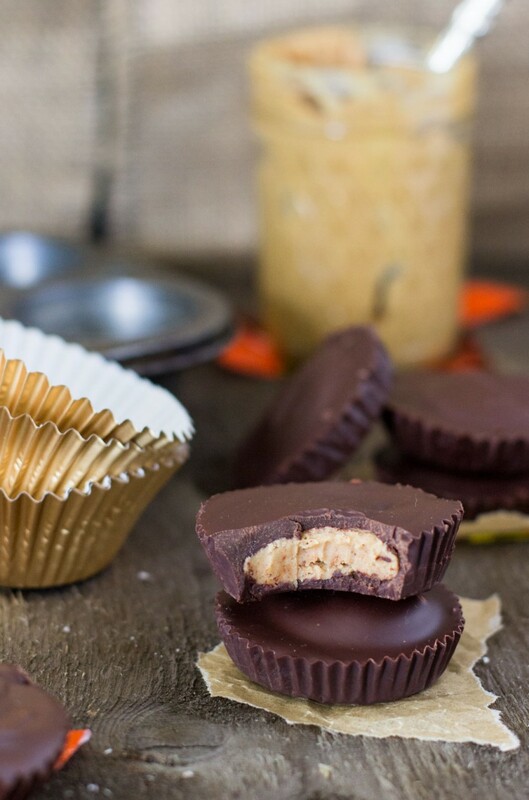 Reese’s are my favorite and now I’m going to be tempted to make them all the time! They look so good! You make it look so easy…I may never buy them again. You’ve got my mouth watering! This would be a fun thing to make with my kids this summer! I made homemade peanut butter cups for the first time last year and it’s maybe not a good thing that they’re so easy to make! Makes it way too tempting to make them all the time! These look perfect!